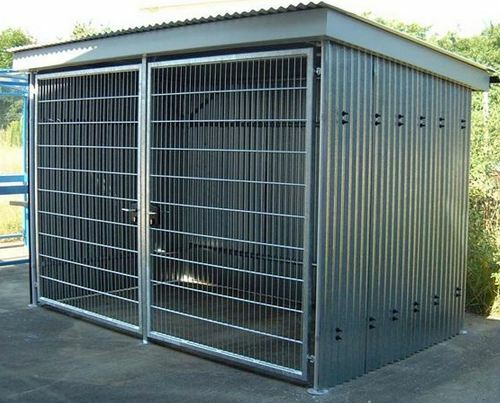 The Secure Cycle Compound is 'free standing', it can accommodate up to 10 bikes with The Ramped type rack (Traditional Sheffield stands are also available for up to 8 bikes). This compound is floor fixed; legs are available for casting in or for bolting down. 4 Sheffield cycle stands can fit per bay or one type ‘B’ rack for 10 bikes.